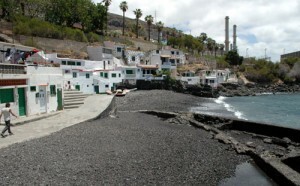 The Canarian High Court has backed the local authorities in their plan to pull down dozens of houses built too near the coast in Candelaria . Objections to the demolition of 23 homes in the Cho Vito coastal district of the town have been dismissed by the Court, which says the Spanish government is acting legally in enforcing orders to recuperate the coastline. The residents, some of whom have lived in their houses for over 60 years, say they have yet to receive formal notification of the ruling and will take further steps to fight the plans.